Less supportive and punitive parenting techniques used by some Chinese parents might lead to the development of low self-esteem and school adjustment difficulties in their children and leave them vulnerable to depression and problem behaviors, according to a paper recently published by a University of California, Riverside assistant professor and other researchers. 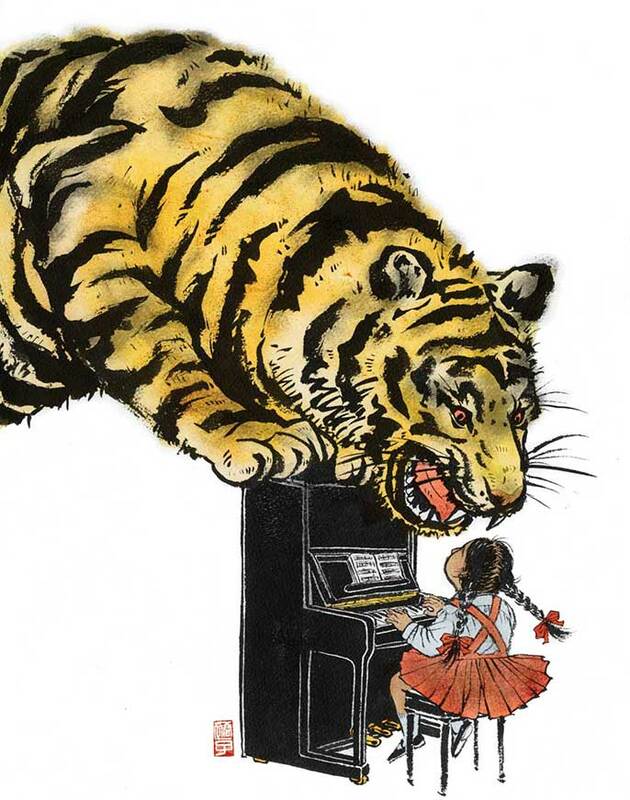 The study, believed to be the first that provides empirical support to this idea, refutes the idea that the traditional, strict “Chinese” upbringing, which gained widespread attention in the 2011 book “Battle Hymn of the Tiger Mother” by Amy Chua, is superior. The paper, “Parenting Behaviors, Adolescent Depressive Symptoms, and Problem Behavior: The Role of Self-Esteem and School Adjustment Difficulties Among Chinese Adolescents,” was published in the Journal of Family Issues. Wang’s co-authors are: Yan Xia (University of Nebraska-Lincoln), Wenzhen Li (University of Nevada-Reno), Stephan M. Wilson (Oklahoma State University), Kevin Bush (Miami University) and Gary Peterson (Miami University). The paper is based on data from a youth survey in Hangzhou, China. The sample included 589 middle and high school children. The survey asked the children about their perceptions of the behavior of their mothers and fathers, as well as their self-esteem, school adjustment, depression and problem behavior. Previous research has shown that Chinese parents are less likely to show support for their children through affection. Instead, they express support through efforts to control and govern their youngsters. Previous research on Western cultures has found that when parents exert strong psychological control over their children it leads to problem behavior, low self-esteem and low grades among the children. However, the impact of psychological control and strictness in Chinese culture has been less clear. Wang and her co-authors show the findings from the sample of Chinese students are consistent with those from the Western students. Parental support and monitoring were associated with positive adolescent adjustment, but permissiveness and punitiveness were linked to negative adolescent adjustment. Psychological control, specifically love withdrawal techniques, did not predict any adolescent outcomes after controlling for other parenting practices. The study also has implications for Chinese Americans and other Asian Americans, who are often trying to balance traditional cultural norms with popular parenting practice in American society today. Future work by Wang will focus on mental health literacy among Asian Americans students, specifically around the stigma of seeking help related to depression and other mental health difficulties. She is interested in these issues in part because of her upbringing in China. Growing up in Shanghai, she was not frequently praised by her parents. She remembers being in first grade, getting a 99 percent on an assignment and her mother being upset she didn’t get 100 percent.